Rolls–Royce has built instantly recognizable luxury cars since 1904. Rolls-Royce Limited was created over a famous lunch in May 1904. 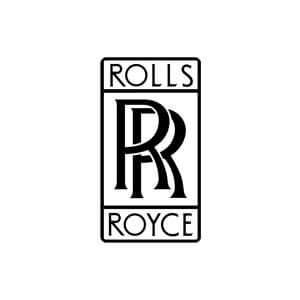 Henry Royce, a successful engineer, struck a deal with Charles Rolls, owner of one of the first car dealerships. The rest is history. The Silver Ghost, launched in 1907, was a car of legendary smoothness that completed a 14,371 mile while barely stopping, creating ‘the best car in the world’ legend. Since then they have released several flagship models like the Cullinan, Dawn, Wraith, Ghost, Phantom, and Phantom Drop Head that are extremely popular for weddings and Car Hire throughout the United States. These cars offer an unparalleled quiet and comfortable ride for all its passengers. Every Rolls Royce rental comes with high-quality hand-stitched leather and beautiful wood trimmings. Rent Rolls Royce and experience the effortless pleasure of driving the ultimate luxury transportation, but it is also the ultimate vehicle to get chauffeured in. Take advantage of our Luxury chauffeur service and be marveled by the craftsmanship inside and out. The Rolls gives an appearance of success wherever you arrive to. These Luxury cars are available in several cities including Miami, New York, Los Angeles, Las Vegas, San Diego, Philly and San Francisco. How much does it cost to rent a Rolls Royce? Prices can vary depending on several factors but they usually rent between $995-$1995 per day. We have several models of Rolls Royce for rent. Immerse yourself in the world of luxury and Rent Rolls Royce today! Rolls-Royce Rental Cost & Availability. How much does it cost to rent a Rolls Royce? RR luxury car rentals can range anywhere between $995-$1999 per day depending on the model you choose. Enjoy one of the best luxury car brands in the world. When you rent a Rolls Royce for a week or more we offer discounted pricing options. We also offer short-term monthly leases on all of our luxury car rentals. Why drive the same car every month when you could drive a Rolls Royce Phantom today and a Rolls Royce Ghost the following month. You won’t have to worry about owning a depreciating asset, storage or maintenance cost. Give us a call and we can have any luxury car rental delivered to your door when you need it. In Miami Los Angeles and Las Vegas, we also offer Rolls Royce Ghost Limousine service for weddings, prom and any special moments in your life. Our Ghost rental service is one of the most requested Luxury car rental requests we get every day. Get FREE delivery for airport car rentals and we’ll have a beautiful luxury car waiting for you at your gate. Miami is one of the most beautiful cities so it makes sense that it is one of the top destinations for Rolls Royce rentals. Miami is also the place where you will find the best price and selection to rent a Rolls Royce. The newest Rolls Royce we provide in Miami is the Cullinan. This Rolls Royce truck provides all the modern luxury and iconic design that Rolls Royce is known for with the agility and extra space provided with an SUV. Another popular Rolls Royce rental in Miami is the Dawn. The Rolls Royce Dawn is the latest convertible to be released by this prestigious brand. Regardless of the Rolls Royce, you choose to rent you can give us a call today and one of our concierge specialists can help you choose the best Tolls Royce rental for your ride around Miami. For added convenience we also provide FREE delivery of any one of our Rolls Royce rental cars to Miami International Airport. Los Angeles is another very popular destination to visit in the US. Home to rodeo drive and Beverly Hills there are countless reasons why you would want to rent a Rolls Royce in La this weekend. Drive down Rodeo drive and you’ll see plenty of luxury cars driving down the strip. We have several models available in LA including the Rolls Royce Dawn, Rolls Royce Ghost and the Rolls Royce Wraith. The most popular Rolls Royce rental in Beverly Hills is the Dawn. Convertible Rolls Royce rentals allow you to immerse yourself in the beautiful city while also enjoying the incredible LA weather. We also provide FREE delivery to anywhere in Beverly Hills or Los Angeles International Airport so that when you arrive your chariot will be waiting for you. The big apple is one of the most popular destinations to visit in the US. There are so many things to do and see including incredible dining, Art museums, countless nightlife, and iconic architecture. We offer several different models that you can choose from including the all-new Rolls Royce Dawn and the Rolls Royce Ghost. We also provide chauffeur services in the Rolls Royce Ghost if you prefer to be driven around New York City. The legendary sophistication found in any one of these Rolls Royce motor cars will provide an unparallel travel experience in New York. During the summer months, many of our customers prefer to rent the Rolls Royce Dawn for the weekend to drive up to the Hamptons and enjoy an incredible drive with the top down and experience a joyous adventure in the Hamptons. We can also provide delivery anywhere in NYC including (JFK) John F. Kennedy International Airport or (LGA) Laguardia Airport for an additional fee. We also provide Rolls Royce rentals in New Jersey. Las Vegas is one of the most extravagant places in the US to travel to. Home to some of the worlds premier casinos and nightlife it is a popular destination for Rolls Royce rentals. At the moment the only Rolls Royce for rent in Vegas is the Rolls Royce Ghost. The Ghost is a pristine luxury sedan that can take your trip to Las Vegas to the next level. The great thing about Vegas is that you can rent the Rolls Royce Ghost for just 4 hours or you can rent it for the full 24 hours. Drive down the Las Vegas strip or take a cruise the Grand Canyon in the iconic Rolls Royce Ghost this weekend. With so many incredible shows, 5-star restaurants, golfing and spa experiences there’s only one way to drive around Vegas and that is behind the wheel and the most luxurious car in the world. We also provide free drop off and pick up at any hotel on the Vegas Strip as well as McCarran International Airport for added convenience. Get ready to experience the ultimate travel experience in San Francisco when you rent a Rolls Royce at Luxury Car Rental USA. San Francisco is a popular destination for Rolls Royce rentals because of its incredible restaurants, beautiful attractions and let’s not forget the Golden gate bridge. You can rent a Rolls Royce Ghost or a Rolls Royce Dawn for a day, week, or even a month. If you prefer to be driven we also provide chauffeur services in San Francisco for Weddings, Birthdays, Prom, Corporate Events or any day that you want to make extra special. We have several models to choose from including the Rolls Royce Ghost, and Rolls Royce Dawn. Drive down to your favorite vineyard in San Francisco in the most luxurious car rental in the world. We offer door to door service as well as airport drop off and pick up at (SFO) San Francisco International Airport. Give us a call today and let one of our concierge specialists set you up with a beautiful luxury car rental for the weekend. Another popular destination for Rolls Royce rentals is San Diego. Known for its beautiful beaches, large grassy parks and wonderful weather it’s the perfect place to rent a Rolls Royce Dawn and cruise with the top down all around the city. You can rent a Rolls Royce for a day or for a whole weekend you decide. We also provide monthly rentals at discounted rates. Explore San Diego behind the wheel of a Rolls Royce rental this weekend in San Diego and experience an iconic luxury car experience. We can deliver a Rolls Royce Ghost or Dawn to your door anywhere in San Deigo including San Diego International airport. Our customers deserve the best which is why we only provide the most luxurious cars in the world.